MOROCCO HAS BECOME THE GREATEST PACESETTER IN AFRICA’S TOURISM AS IT ROLLS OUT A HIGH-TECH TRAIN which costs the sum of $2billion as funded by the governments of Morocco, France, Saudi Arabia, Kuwait and United Arab Emirates, UAE in a 10 year project decade. Morocco gets Africa’s first high-speed train French President Emmanuel Macron and Morocco’s King Mohammed VI inaugurated Africa’s first high-speed train line on Thursday. These high-speed trains are flashing along the Atlantic coast of Morocco. The French-made double-decker TGVs are being tested today ahead of the launch of a flagship new line connecting Tangier with Morocco’s economic capital Casablanca in November. 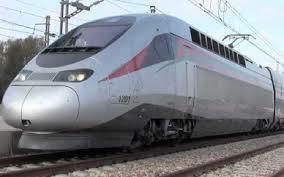 The new trains are made by manufacturer Alstom and can reach speeds of 200 miles per hour. They will cut the journey time between the two cities by more than half — to just over two hours. This is double the speed of South Africa’s Gautrain launched in 2012, which falls short of the criteria of high-speed rail. The $2 billion project has been in development for a decade, funded by the governments of Morocco, France, Saudi Arabia, Kuwait, and the UAE. King Mohammed VI and the Moroccan government expect the trains to deliver wealth and prestige for the country. But opponents claim they are an expensive folly. 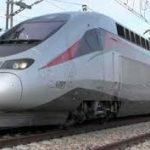 High-speed trains fit within a wider program of infrastructure spending in Morocco, including the world’s largest solar power plant and several major ports that is intended to stimulate a sluggish economy. “The Government is continuing its reforms and major investments to improve the business climate and attract foreign investors,” reported the African Development Bank in its ‘Economic Oulook 2016’ for Morocco. Report has it that the Tangiers-Casablanca route is expected to generate a sharp increase in passenger numbers that will boost tourism, support wider economic growth in the cities, and recoup the investment on it. The new train line will impress foreign investors but they are likely to remain wary of Morocco, according to Riccardo Fabiani, a senior analyst at the Eurasia Group. But despite such reservations, the project is almost certainly too far advanced now to be stopped in its tracks. The high-speed Tangier to Casablanca service will soon be welcoming its first passengers.